You probably turn to Yelp to look for single, stand-out restaurants and businesses. But there's a lot of data inside all those reviews, which can make for fascinating analysis—letting you spot trends across geographic locations. 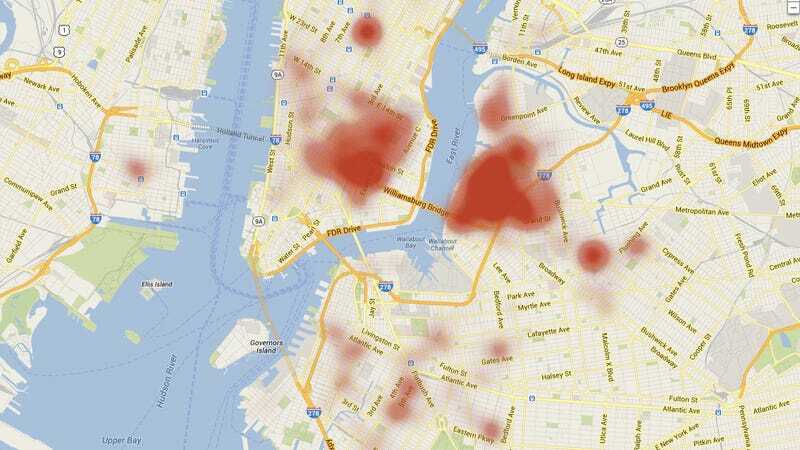 This map, for instance, shows where the word "hipster" crops up across NYC reviews—and hey, look, Williamsburg wins out! But over on Yelp's Word Map site you can filter by everything from "bacon", though "kosher", to "romantic". Aw.